2015 Bugatti Veyron Grand Sport Vitesse "La Finale"
Now, before you get up hopes of snatching up the last-ever Veyron, you’re too late. "La Finale" is already sold. 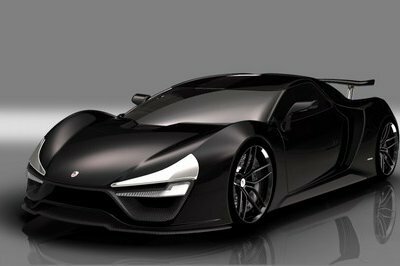 However, the owner was kind enough to let the French showcase it at the Geneva Motor Show. where it will be displayed alongside the first-ever production Veyron from 2005. That should make for an incredible show stand! 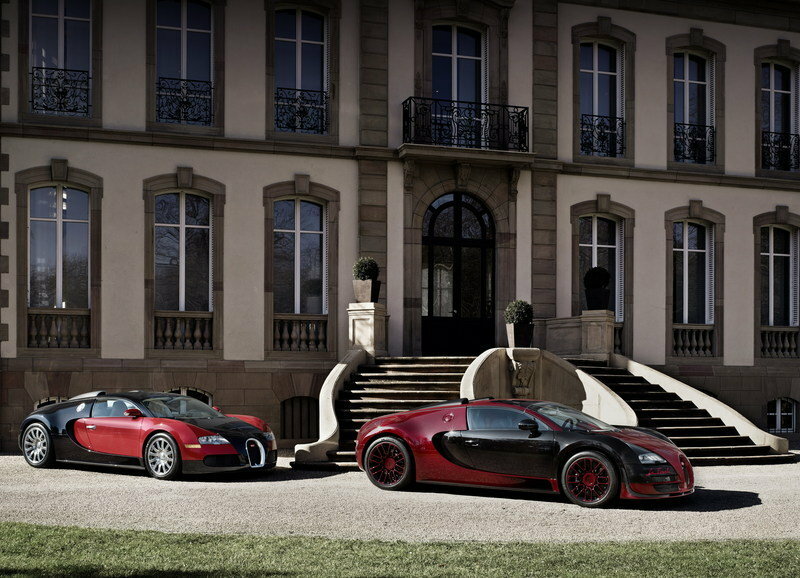 La Finale represents the 450th example of the Veyron, and the 150th roadster model. To put that into context, Bugatti sold as many Veyrons in a decade that Ford sells F-Series trucks in the U.S. each day… before lunch. 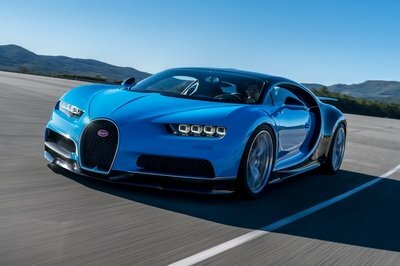 Wolfgang Dürheimer, president of Bugatti Automobiles, said that “an unprecedented chapter in automobile history has reached its climax” with the Veyron’s conclusion, but with the Chiron on the horizon (rumored for a 2017 introduction), there’s an entirely new chapter waiting to be written. Updated 03/02/2015: Bugatti unveiled the official details and specs on the Veyron Grand Sport Vitesse "La Finale" - the last Veyron that the company will build before bringing a new successor for the supercar. Continue reading to find out more about the Bugatti Veyron Grand Sport Vitesse "La Finale". 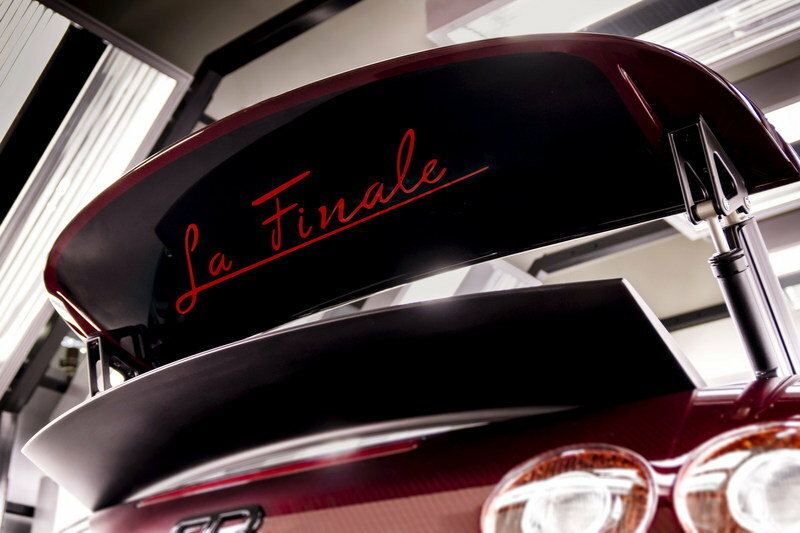 Finished in a dark shade of red and black, the "La Finale" draws inspiration from the first Bugatti Veyron, which was sold back in 2005. However, the livery was inverted for this final supercar with several body parts finished in different hues for a unique appearance. The front wing panels, the doors and the areas between the doors and the side air intakes are made from black exposed carbon-fiber, while the other parts are made from red exposed carbon-fiber. The latter represents a benchmark for the auto industry, as no other manufacturer has used red carbon-fiber on a production car. The color is also brand-new and raises the number of tints Bugatti has offered for exposed carbon-fiber to eight. Also a first for a Veyron are the black-painted air scoops and intercooler cover. These are usually finished in silver. Another unusual feature is the "La Finale" lettering incorporated into the body. 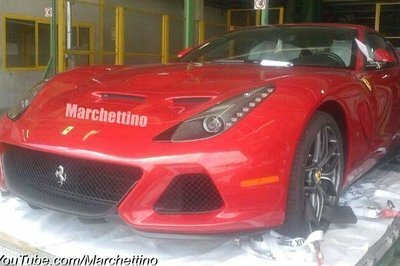 The name appears twice: under the front headlamp and on the underside of the rear wing as Italian Red lettering on black carbon-fiber. Other highlights include red "16.4" badging, body-matching multi-spoke wheels, and hubcaps adorned by the famous Bugatti elephant created by Rembrandt Bugatti, renowned sculptor and brother of company founder Ettore. The same elephant was painted on the red fuel tank cover and oil cap as a black anodized insert made from milled aluminum. Needless to say, the "La Finale" is arguably one of the most bespoke Veyrons ever crafted and worthy of the privilege of being the final iteration of Bugatti’s glorious supercar. The cabin is equally unique. Nearly everything is upholstered in Silk beige leather, with Hot Spur Red arms rests, instrument panel, dashboard, side bolsters and steering wheel rim proving a striking contrast. Red exposed carbon-fiber can be found in the cockpit as well, mainly on the center tunnel, door panels, seat shells or as inserts in the center console. 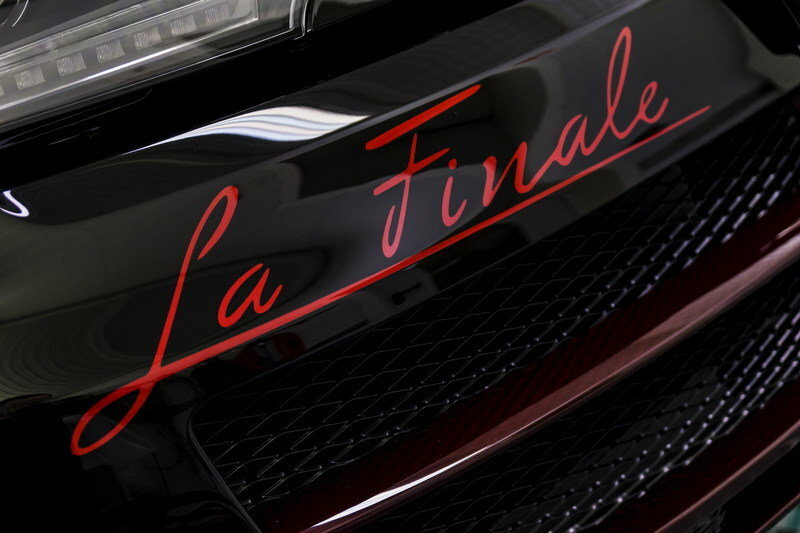 "La Finale" lettering in Silk and Italian Red adorns the head restraints and door sill, respectively. 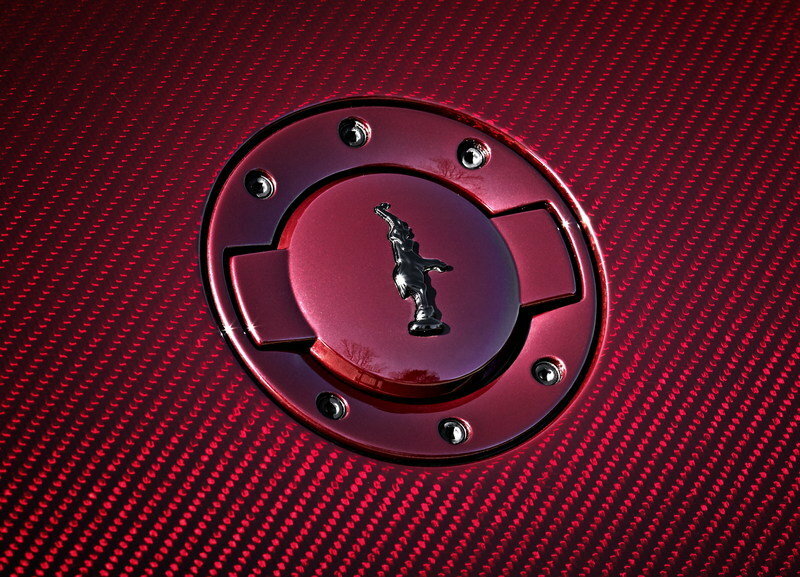 Lastly, a Bugatti elephant was included on the stowage compartment cover, which is also made from red exposed carbon-fiber. 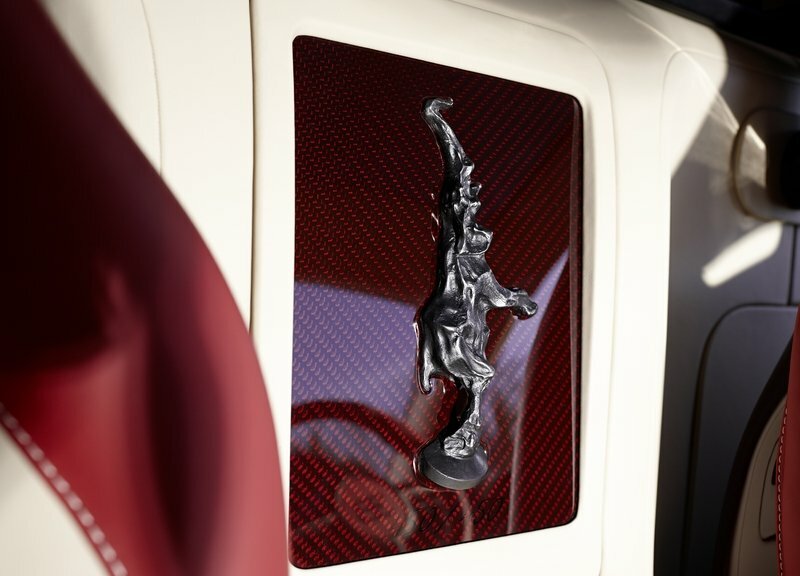 Crafted in bronze and given a black patina, the elephant is definitely the most interesting details inside the cabin, seemingly a tribute to the massive luxury Bugatti cars of the 1920s and 1930s. The lettering “450/450” has been painted in black under the bronze cast. This feature will contribute at making the "La Finale" one of the most sought-after Veyrons in a few years. Like the “standard” Veyron Grand Sport Vitesse, the end-of-the-line La Finale is powered by Bugatti’s massive 8.0-liter W-16 engine that produces an astounding 1,183 horsepower and 1,106 pound-feet of torque, allowing the Veyron to continue to wear the crown as the world’s most powerful production car. In stock form, the Veyron is able to accelerate from 0-60 mph in just 2.5 seconds, and it can reach speeds of 253 mph. The world record speed still stands at just under 268 mph with a Veyron with no speed limiter. Bugatti did not say how much it sold La Finale for to a “customer from the Middle East,” but I imagine the price was well over the $3 million mark for such a special model. Regardless of how much the buyer paid, it is practically priceless to be able to boast that you own the last Bugatti Veyron ever made. Introduced in 2013, the Porsche 918 Spyder opts for a gasoline-electric hybrid powertrain rather than going all-engine like the Veyron. For its hypercar, Porsche paired a 608-horsepower 4.6-liter V-8 with a hybrid system offering 156 horsepower at the rear wheels and 129 all-electric horsepower at the front wheels; the total system output for the 918 Spyder is rated at 887 horsepower and 944 pound-feet of torque. While that’s significantly lower than the Bugatti, the Porsche (at 3,692 pounds) is also about 700 pounds lighter, allowing it to accelerate from 0-60 in the same 2.5 seconds, although top speed is limited to just 214 mph. Like the Veyron, production of the Porsche 918 Spyder was extremely limited, with just 918 examples being built, and even though the car is still very new on the market, it has been sold out for months. 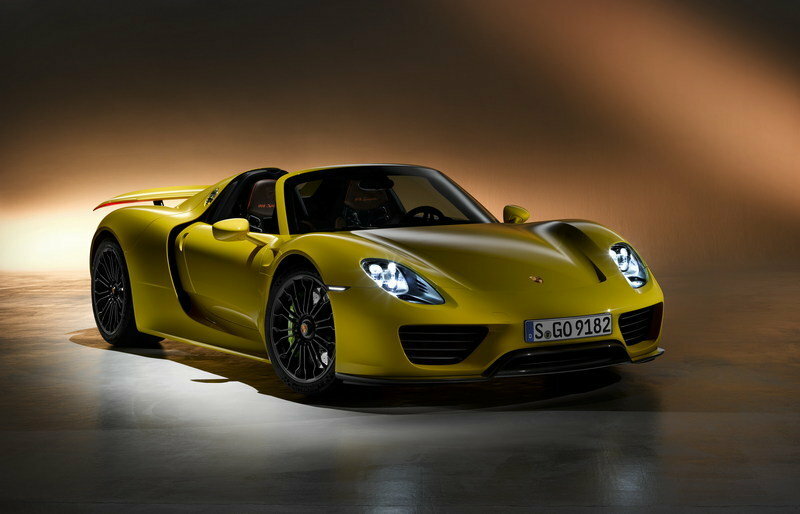 Priced at $845,000, the 918 Spyder is the most affordable of today’s hypercars, with most starting well over $1 million. Shortly after the Porsche 918 Spyder was introduced, Ferrari showed its hand in the hybrid hypercar race: the LaFerrari. Sticking with the typical Ferrari engine, the LaFerrari features a screaming 6.3-liter V-12 engine paired with a duet of electric motors, which, when combined, delivers a total output of 950 horsepower. Acceleration to 60 is a bit slower, taking 2.6 seconds, and, like the Porsche, the LaFerrari can’t come close to touching the Bugatti’s top speed, maxxing out at 218 mph. 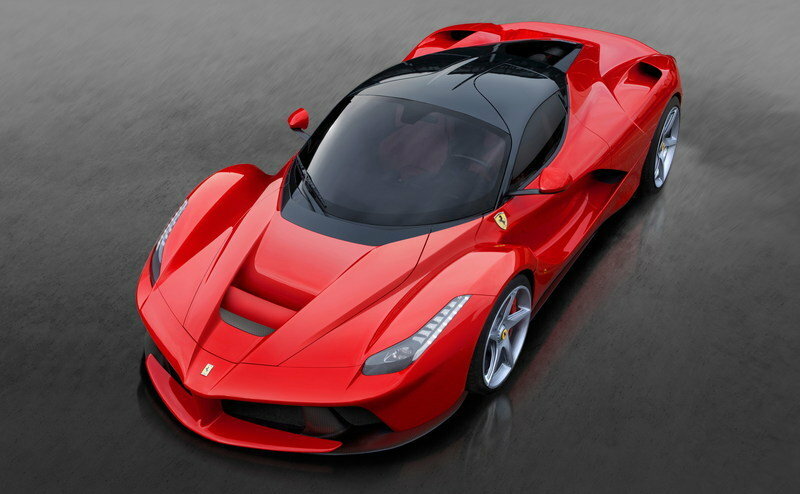 Only 499 LaFerrari coupes are planned for production, and each starts at $1.35 million. The Bugatti Veyron has helped change the supercar landscape since its introduction in 2005, and the 2015 Veyron Grand Sport Vitesse "La Finale" is a fitting sendoff for the fastest and most-powerful production supercar of all time. Although there’s still about a week to go until the Veyron La Finale is revealed under the bright lights of the Geneva Motor Show, this car will be a testament to the last 10 years of one of the most incredible cars ever built, while also opening the door for whatever high-performance monster Bugatti has planned next. “When designing the “La Finale”, the designers sought inspiration from the first Veyron in order to provide a visual conclusion to the success story of this super sports car,” says Bugatti’s chief designer Achim Anscheidt. “Although both vehicles have a black and red colour scheme, chassis numbers one and 450 still have their own individual character which we have identified visually. 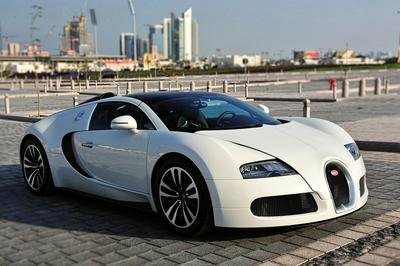 Ultimately, every Veyron is unique.” The owner of the Grand Sport Vitesse “La Finale” also had a say in the design of the vehicle. The design of the carbon bodywork of “La Finale” is based on chassis number one which was designed ten years ago in the traditional Bugatti two-tone colour scheme, which was popular in Bugatti models of the 1920s and 1930s. This striking design language remains inseparable from the Veyron to this day. For the “La Finale”, the front wing panels, the doors and the areas between the doors and the side air intakes, known as “medallions” in French, are made from black exposed carbon fibre. The other parts of the outer shell are made from red exposed carbon fibre, the first time this colour has ever been used on a vehicle. Including this new colour, Bugatti now offers a total of eight different tints for exposed carbon fibre. The French luxury brand is an industry leader in terms of not only the diversity of the colour schemes it offers, but also in relation to the quality and processing of the exposed carbon fibre. Unusually for a Veyron, the name of the Grand Sport Vitesse has been incorporated into the outer shell. 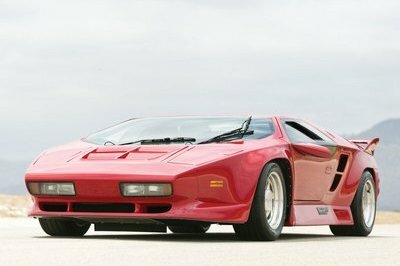 The “La Finale” lettering, which highlights the extra significance of this particular super sports car, appears twice: once very clearly under the right front headlight and then in a slightly concealed position on the underside of the rear wing. In both cases, the bright “Italian Red” lettering is painted into the black exposed carbon fibre. For the first time in a Veyron, the air scoops and intercooler cover have been painted black. The EB logo and the relief “16.4” have also been emblazoned on it in Italian Red. The wheel design is also in keeping with the red and black colour scheme. It is worth mentioning the hubcaps that were milled from a single block of aluminium – another example of the tremendous lengths that Bugatti goes to in the production of its vehicles. And that’s not all: each hubcap features a relief of the famous Bugatti elephant that was created during the milling process and then painted black. Rembrandt Bugatti, renowned sculptor and brother of company founder Ettore, designed this figure which was later used as a radiator cap on the Type 41 Royale and subsequently became a symbol of the brand. The elephant can also be found on the red fuel tank cover and oil cap as a black anodised insert made from milled aluminium. 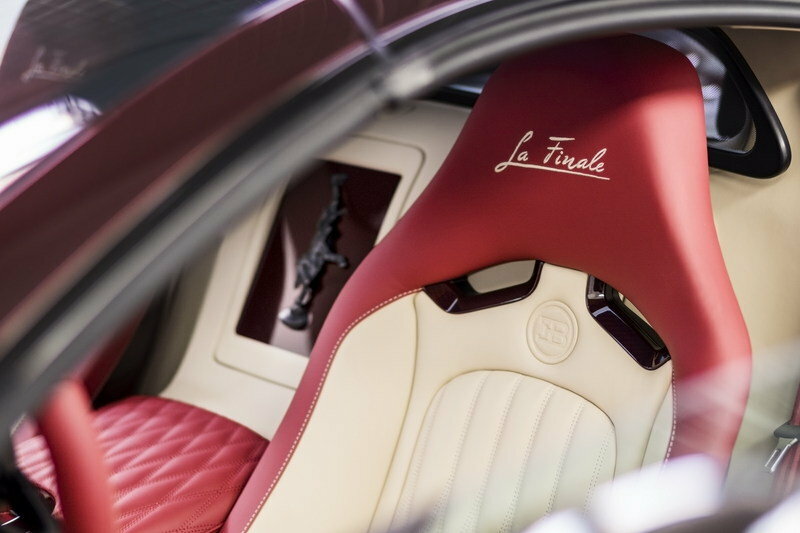 As with the exterior, the interior of the “La Finale” also pays tribute to the first Veyron. It was upholstered entirely in leather in a light beige colour known as “Silk”. Leather also adds a refined touch to the interior of the “La Finale”, where it features in the centre seat panels, the footwell, the headliner, the cowling and the rear wall. Unlike chassis number one, the designers and the customer have settled on contrasting colours for chassis number 450, selecting a striking red tone known as “Hot Spur”. This red appears in the arm rests, the instrument panel, the dashboard, the side bolsters and on the steering wheel rim, which is also decorated with stitching in “Silk” beige. Red exposed carbon fibre is also used in the interior: on the centre tunnel, on the inserts in the centre console, on the door panels and seat shells. The red head restraints are adorned with “La Finale” lettering embroidered in “Silk” colour. The lettering is found again in “Italian Red” in the door sill strips, etched into the black exposed carbon fibre. The jewel in the interior is undoubtedly the Bugatti elephant on the stowage compartment cover made from red exposed carbon fibre and located in the rear panel between the seats. The elephant was cast in bronze with great technical skill, given a black patina, and then worked into the cover as an insert. The lettering “450/450” has been painted in black under the bronze cast.